Are you an expecting mom? 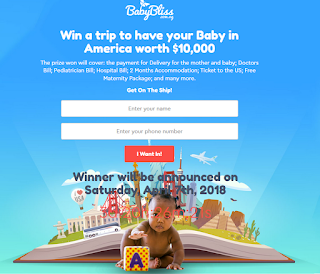 Then, you stand a chance to win a trip to have your baby in the United States of America! Yes, you read right. America! 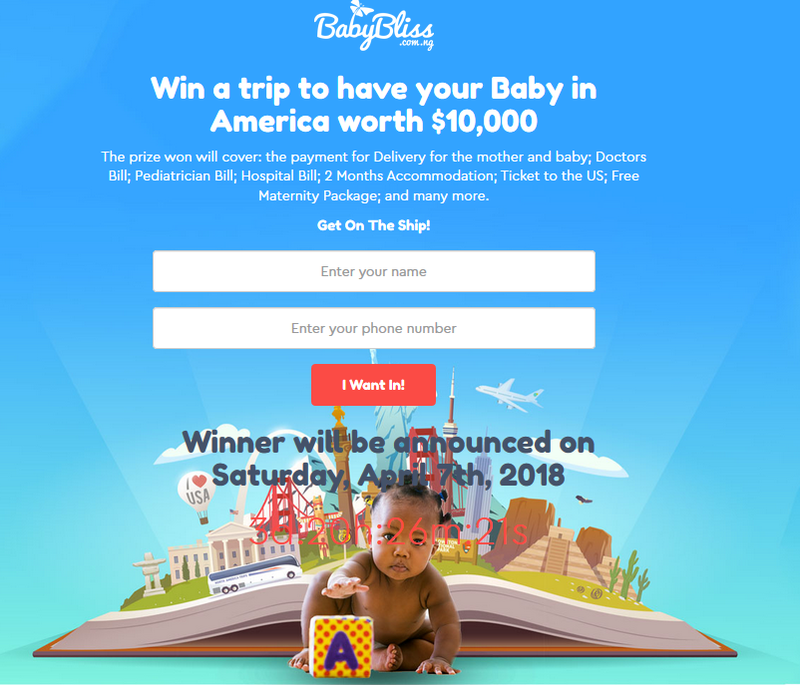 The trip is worth $10,000 and it covers: the payment for Delivery for the mother and baby; Doctors Bill; Pediatrician Bill; Hospital Bill; 2 Months Accommodation; Ticket to the US; Free Maternity Package; and many more. Step 2: Fill in required details, and choose the value of the voucher you would like to purchase. N30,000 voucher gives you 1 entry, N50,000 voucher qualifies you for 6 entries and N100,000 qualifies you for 15 entries. Step 3: Follow instructions on how to make payment. Draw announcement will be on the 7th of April, 2018. Win or lose, you still get the full value of your voucher from BabyBliss. It's really easy and simple. So, what are you waiting for? Get your vouchers now. Remember, the more your entries, the more your chances of winning!